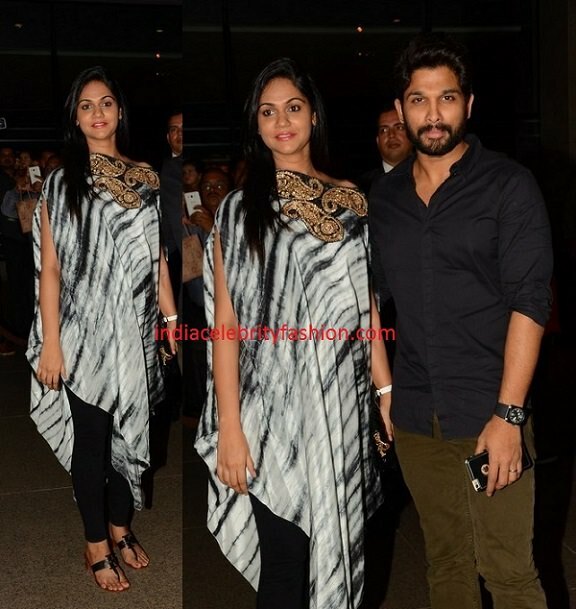 Allu Arjun attended megastar Chiranjeevi's birthday party along with pregnant wife sneha reddy.Sneha reddy chose a asymmetric high low kurta with black leggings with minimum accessories and allu arjun looked simple as well. 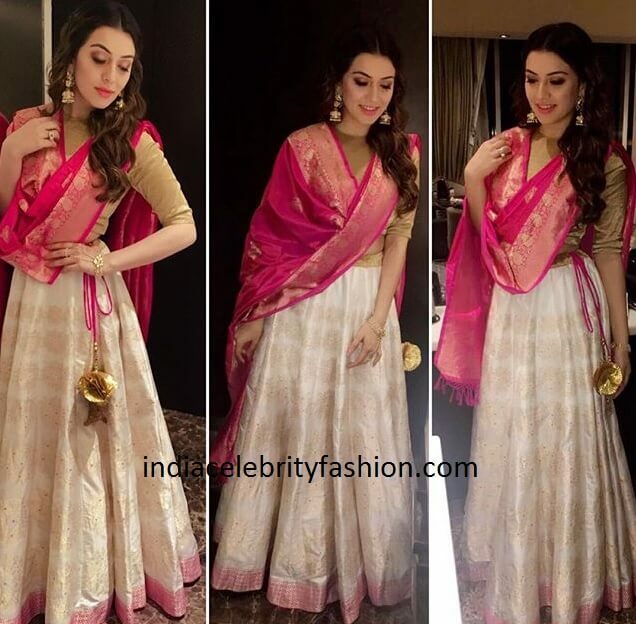 Hansika motwani attended Santosham awards 2016 event in hyderabad.For the awards night,she donned a beautiful shravan kummar gold and off white lehenga with pattu dupatta.Center part wavy hair,aquamarine jhumkas and haath phool suited her look. For her new movie opening ceremony,Keerthy Suresh donned a simple plain blue salwar kameez with zari border and traditional dupatta. For Director Krish's Wedding,Rakul preet singh picked shilpa reddy chiffon two tone sari with simple gold floral border which added more look to the saree along with matching sleeveless blouse.Puff hair,sunita mutha chandbalis and bangle complemented her look. Love the skin tone of rakul which added beauty! With beautiful blouse even a simple saree can look awesome.Check out this collar neck short sleeve black color blouse with gold embroidery and kundan work.This blouse design can be used both for traditional sarees and plain designer saris as well.